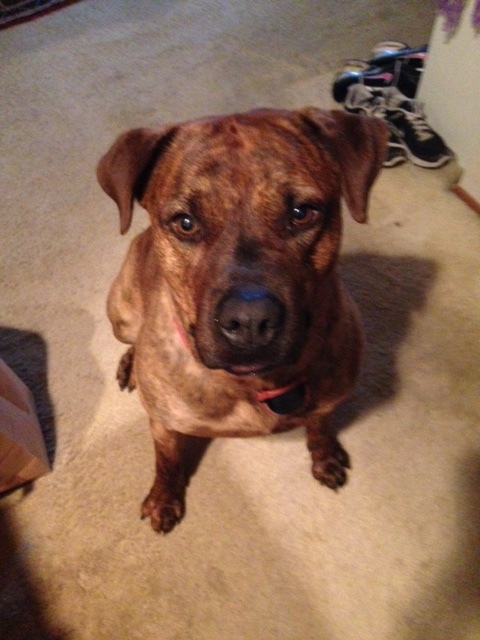 Please Give a DETAIL­ED Description of Yo­ur Missing Pet: Brindle colored pit bull/rottweiler mix. He’s about 110 lbs with no collar. Us­ually skittish around people. Belongs to family that is staying with us temporarily.